BUSHKILL, PA (FALL 2015) – Pocono TreeVentures, the newest aerial adventure ropes course in the Pocono Mountains with 66 elements offers a unique perspective on experiencing fall foliage from the trees. Gina Bertucci, spokesperson for TreeVentures said, “Our park offers aerial platform to platform challenges from beginner to expert levels and is a great addition to the list of amenities. It allows them the chance to surround themselves in the pastoral beauty of the wooded Pocono Mountain setting draped in the beautiful colors of fall, while being challenged with elements that range from easy to extremely difficult.” A two night fall ropes course stay and climb package includes weekend accommodations in a studio villa with two ropes course tickets for $139 a night midweek. TreeVentures contains courses made of platforms constructed at various levels in the trees that are connected by different types of bridges that represent obstacles. Participants maneuver from platform to platform wearing a safety harness. Tickets are sold in two hour sessions where guests can repeat the same course or continue to increase the level of difficulty at their own pace. The expert course takes you over 30 feet in the trees and has extremely difficult features that challenge even the most experienced outdoor ropes enthusiast. In addition to the ropes course, the new park will also offer dual racing zip lines that give guests the feeling of flying through the air like a bird. Pocono TreeVentures is located on Route 209 in Bushkill, PA on the property of Fernwood Resort. Bertucci concludes, "This great package allows you to stay in a Fernwood Resort villa then spend the day in the trees surrounded by the fall colors. Afterwards, you can relax take a swim or a sauna, have a massage, eat dinner at Wintergreens, golf, horseback ride, canoe on the Delaware, paintball, hike at Bushkill Falls, go to a festival at Shawnee Mountain, and try our Blue Lightning tubing park – the only all season tubing park in the Pocono Mountains. Fall is a beautiful time to getaway to the Pocono Mountains. 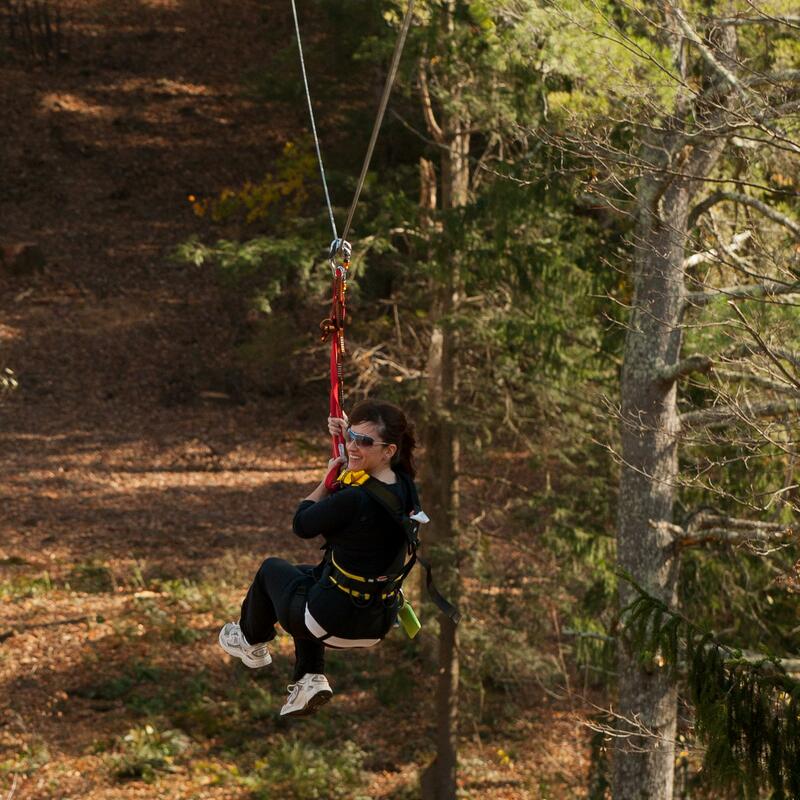 For Pocono TreeVentures package reservations go to PoconoTreeVentures.com where you can get additional aerial ropes course information and reserve your overnight stay. Pocono TreeVentures is open Thursdays through Mondays and holidays throughout the fall and early winter.